Can Marketing improve our Society? "Sustainable Advertising: Can Marketing improve our Society?" 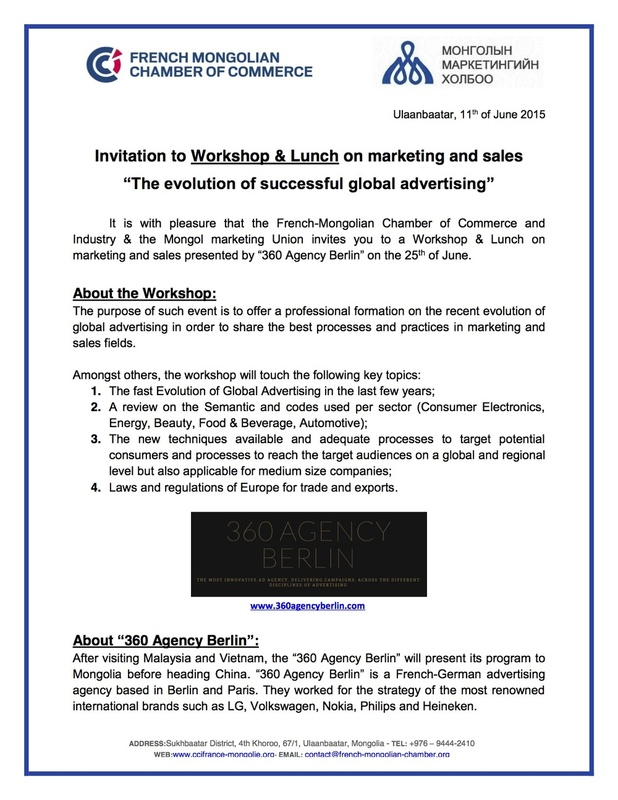 360 AGENCY BERLIN supporting exclusively sustainable brands, will introduce their vision and initiative. WEF with Stefan Hall from the World Economic Forum in Switzerland will share a survey from his department (shaping the future of communication) which demonstrate that there is an increasing need of respecting online users data privacy from the advertising industry. AIR INK will introduce their great invention from India transforming co2 emission from trucks into ink for outdoor advertising. Sophie Young from Do you Green Paris will introduce how she produces and communicate in a more sustainable way from a brand perspective. And I Boycott.org will discuss about the dangers of Green Washing in Advertising. A Panel of discussion will welcome all your questions on the second half of the conference. Looking forward to see you and bring a new stone in this fast changing world. Ticket required - Please sign up for the event at eventbrite above. Looking forward to see you and bring a new stone in this fast changing world! 360 Agency Berlin initiated the idea of organising hand by hand with the European commission workshops in the LDC's (Least developed countries). Introduced by the European delegation 360 Agencies travels to the LDC's training sustainable companies on how they can increase sustainable production with global advertising. Last year 360 Agency Berlin presented in Mongolia, Vietnam, but also in Malaysia, China and this year in Honduras. Thursday 23rd April, 2015 - 10, Rue Richelieu, Paris, France. We had the pleasure of presenting a workshop around the future of global advertising at the French-German chamber of commerce in Paris. 37 brands were present to attend the event (L'Oréal, DB Bahn to mention only a few). This was the first presentation before Malaysia, Vietnam, Shanghai and Mongolia. Thursday 4th June, 2015 - Level 47, 8 Jalan Yap Kwan Seng , Malaysia. In June, we had the pleasure of presenting a workshop on the future of global advertising in Europe and South East Asia, at the German Chamber of Commerce of Malaysia. Thanks to a warm welcome from our hosts, we felt immediately at home in the bustling hub of Kuala Lumpur. 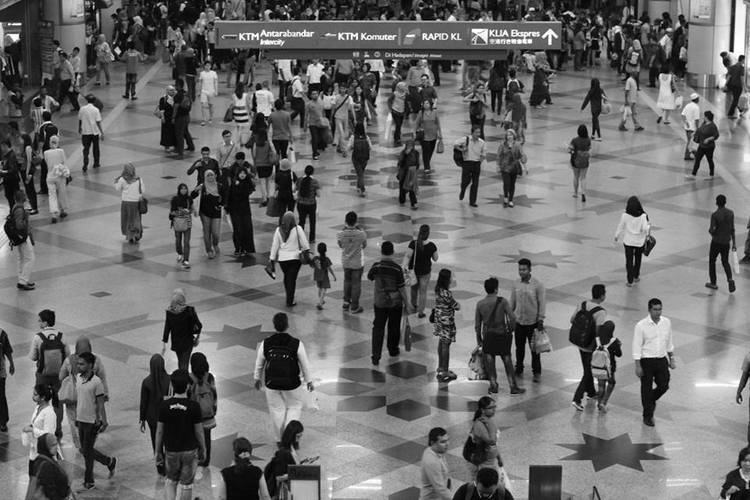 Fiercely competitive and well developed, Malaysia’s rich cultural and ethnic diversity poses a significant challenge to advertisers. Smart, responsible campaigns are required to appeal to diverse consumers, adhere to product marketing restrictions and maintain sensitivity with imagery that may conflict with consumer values. European communication is essential for Malaysian companies to deliver successful global campaigns. Phased co-ordination across paid, owned and earned media must deliver the right message at the right moment of the consumer journey. Creative use of all media platforms is key for innovative Malaysian brands to flourish in the diverse, inter-connected European markets. In an age of boycotts and consumer backlash, moral and eco-friendly production methods are integral for popularity and trust in Malaysian companies. Environmentally and socially conscious European consumers are highly sensitive to lack of transparency and negative insight into how their products are made. Successful community management can ensure ethical production is promoted and publicised to moral, progressive consumers. Thursday 18th June 2015, Sofitel Plazza, Ho Chi Mihn, 1 Thanh Nien, Vietnam. We had the pleasure of presenting an extensive workshop on the processes and semantics of global advertising, along with the differences between the European and South East Asian ways to advertise and consume advertising. Many thanks to the French Chamber of Commerce of Vietnam for organizing this interesting workshop and welcoming us in Ho Cho Minh. In Vietnam, Ho Chi Minh along with Hanoi have experienced a recent and powerful surge in urbanisation. The urban population has risen by 30% in the last 10 years, to nearly a third of the 90 million inhabitants. This demographic shift has important implications for climate change. It is important to note that consumption is not yet altered by awareness of the potentially harmful effect of urbanisation. First-hand experience may change this and draw attention to the threat to continued growth. Responsible advertising has the power to raise awareness and influence both producer and consumer behaviour towards greener alternatives. Tomorrow: Follow the next step in our journey, as we addressed the French Chamber of Commerce in Mongolia to talk about ethical exports and the General Scheme of Preferences. Thursday 25th June 2015, Ulaanbaatar Hotel, 6th floor, Sukhbaatar Square UlaanBaatar, Mongolia. We had the pleasure of being invited by the French Chamber of Commerce of Mongolia to talk about General Scheme of Preferences, reviewing legal advantages delivered by the European Commission towards LDC nations. Mongolia has been eligible for GSP+ since 2006, an enhancement on the EU’s General Scheme of Preferences. The scheme grants full removal on tariffs of targeted products with significant economic benefit, granted to countries adhering to international conventions on human and labour rights along with the environment. Popular exports such as cashmere not only benefit from free tariffs, but also the opportunity to promote ethical and eco-friendly production that is assured through GSP+ participation. Mongolia has a small but growing advertising industry that has begun to flourish and attract Western investment. When exporting to the EU, an emphasis on the corporate social responsibility exhibited by GSP+ participation is a powerful marketing tool for Mongolian companies and advertising agencies. The European Commission has also funded a number of awareness projects designed to add value to Mongolian products with a focus on Geographical Indications, emphasising cultural heritage. Along with GSP+ and responsible advertising, Mongolia has the potential to develop a unique, ethical identity in European markets. Together, we can certainly change the world. Tuesday 30th June 2015, 25F China Fortune Tower, 1568 Century Avenue, Pudong District, Shanghai 200122, China. We had the pleasure of being invited by the German Chamber of Commerce of China to present in Shanghai. We presented alongside Mr Bernd Pichler, National Sales Director of Volkswagen brand for China, and Ms Brigitte Wolff, board member of the German Chamber of Commerce in China. 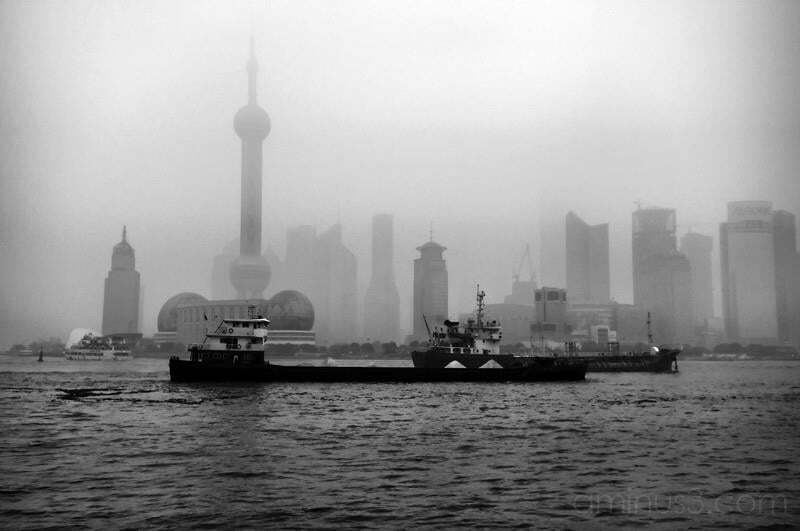 Environmental issues are already at the forefront of conversation in Shanghai. Rising pollution levels affect the day to day lives of millions, and the immediate presence of eminent and obvious environmental issues are beginning to influence consumer choices. Eco-friendly fashion, hotels and vehicles are among the products to experience a sharp increase in popularity as environmental awareness continues to spread. Digital marketing is a major player the eco revolution. “Under the Dome”, a documentary on China’s smog, was released online and, with 71 million views in the first 24 hours, was a resounding demonstration of the potential of green campaigns when launched online. Following these trends, responsible advertising has the opportunity to enter the mainstream in Shanghai. EU-China trade has increased dramatically in recent years, and Chinese companies have the opportunity to leverage the growing demand for environmentally friendly goods by utilising and promoting green production methods. Our presentation in Shanghai was met with great enthusiasm and positivism, enforcing our belief that together, we can change the world. Inauguración del Programa EKO BOOTCAMP Tegucigalpa, Honduras. 360 Agency Berlin presented the 9 of November a workshop for sustainable companies introducing Global Advertising in the capital of Honduras, Tegucigalpa. The workshop has been initiated by the European delegation and the minister of Economy of Honduras.